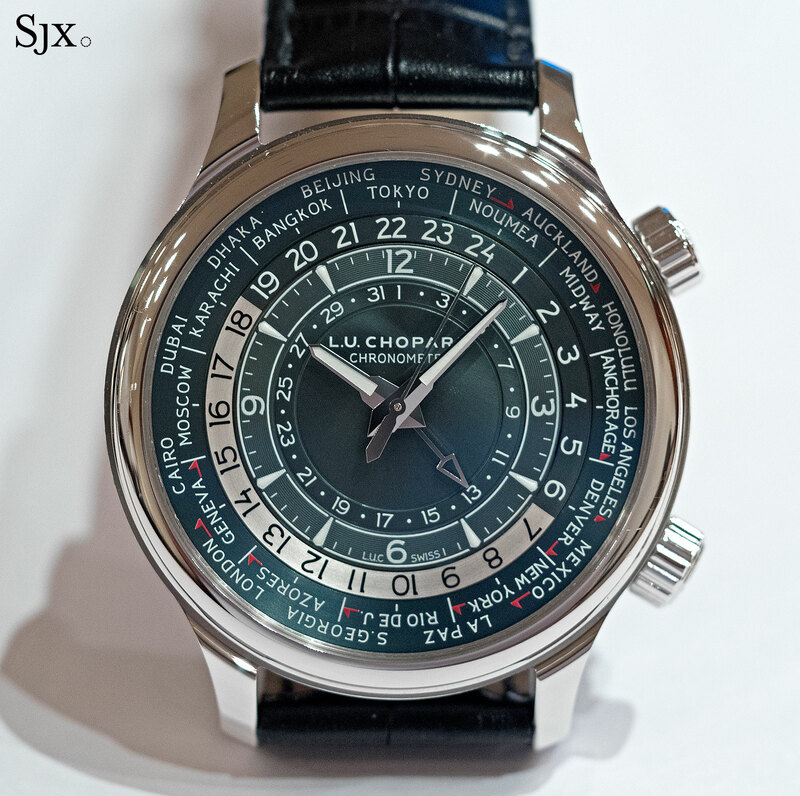 Chopard introduces its new L.U.C. twin time zone wristwatches powered by quality, in-house movements. 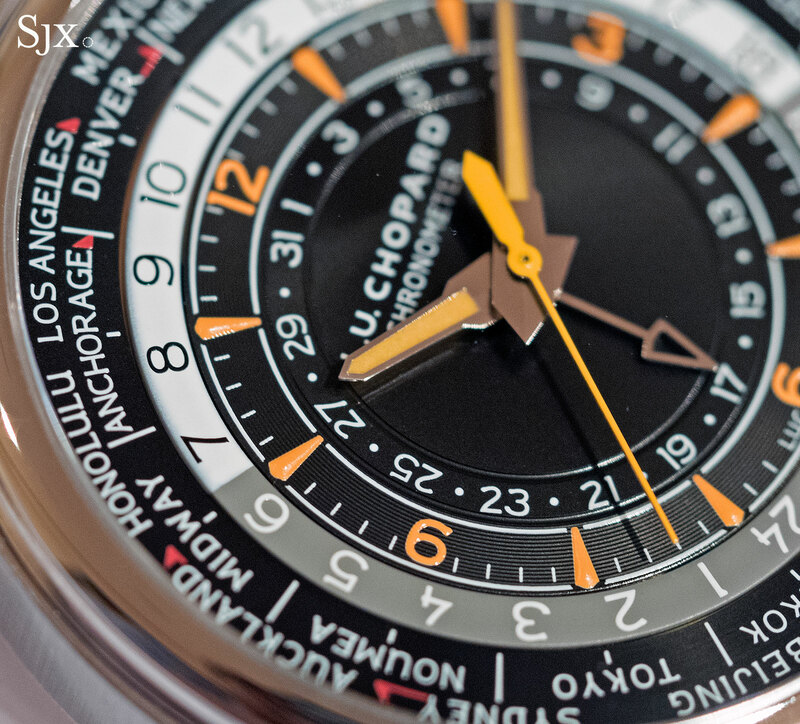 The Chopard L.U.C line of high-end mechanical timepieces is well stocked with dress watches and complications, but skimpy on sporty, functional types. 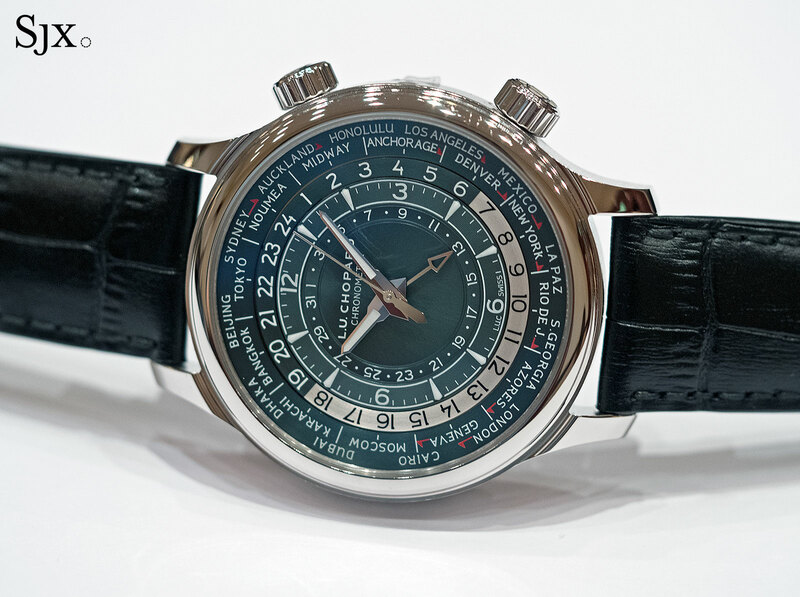 That gap is now filled by the new L.U.C GMT One and Time Traveler One, a pair of COSC chronometer-certified travel watches starting at just under US$10,000. 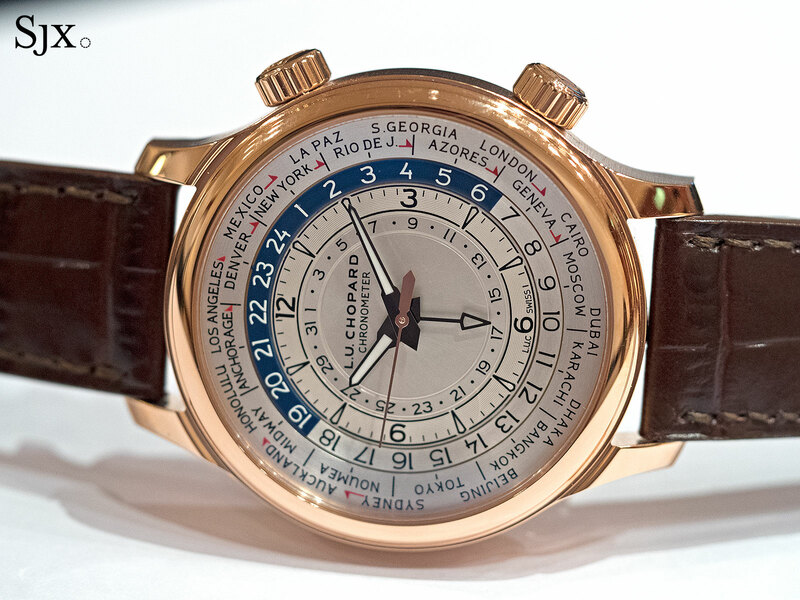 A watch showing two time zones simultaneously, the L.U.C GMT One is a straightforward travel watch and the more affordable of the pair. 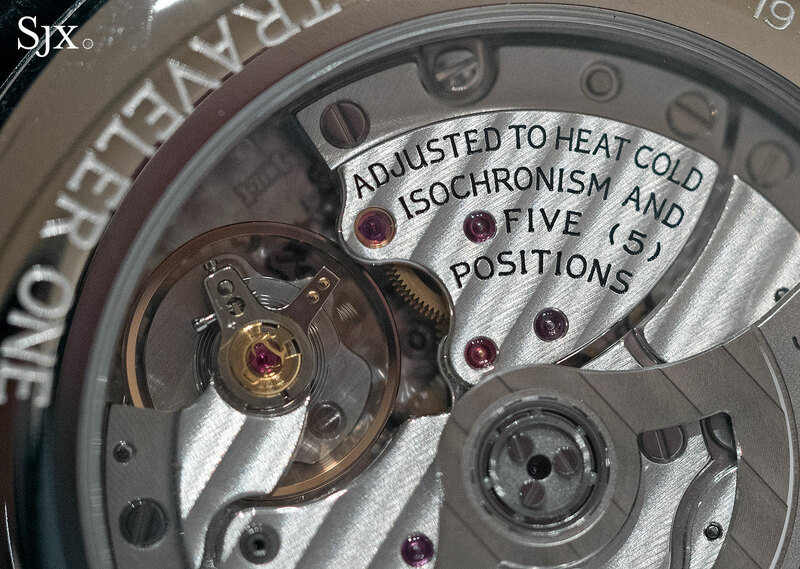 The crown at two o’clock sets the date and local time (shown on the main hour and minute hands), while the crown at four o’clock advances the arrow-tipped GMT hand and 24-hour outer scale on the dial. 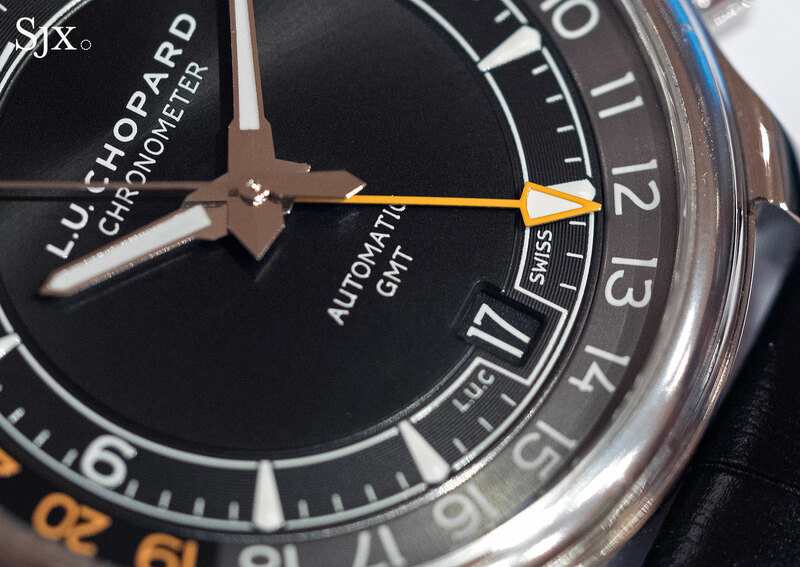 The GMT One is equipped with the Chopard L.U.C 01.10-L, an in-house automatic movement with a 60-hour power reserve. 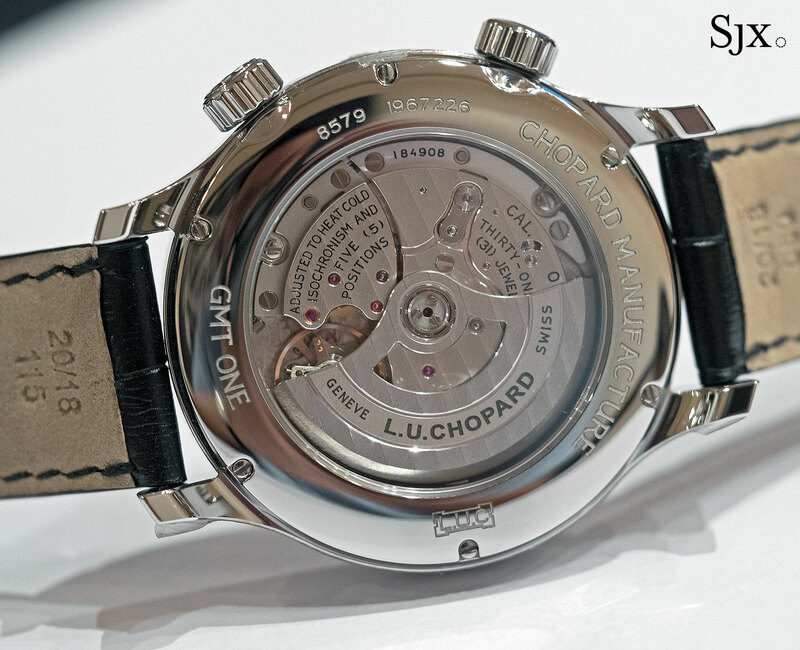 Finished in a clean, appealing manner, the movement has admirable detailing and is amongst the best in its price range. 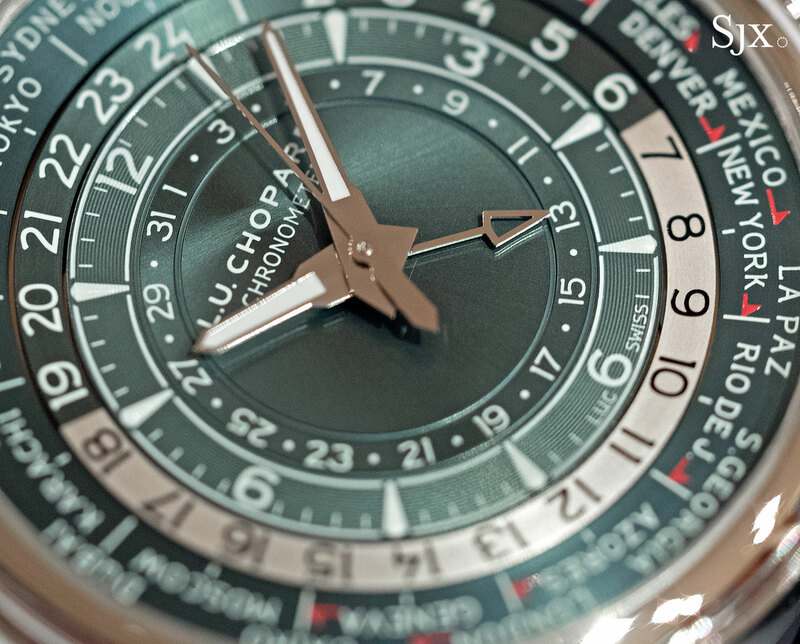 That’s an accomplishment common to many L.U.C watches, all of which are powered by top class, in-house movements. While L.U.C movements are undeniably excellent, the watch designs err on the side of caution, tending to the conservative. The new travel watches are modern by L.U.C standards, with a vaguely sporty style, but still traditional in appearance. Available in rose gold with a brown dial or steel with a black dial, the GMT One is 42mm in diameter and stands 11.71mm high. While modestly sized it is not a small watch, but the case looks and feels smaller than it is, likely due to the dial design. 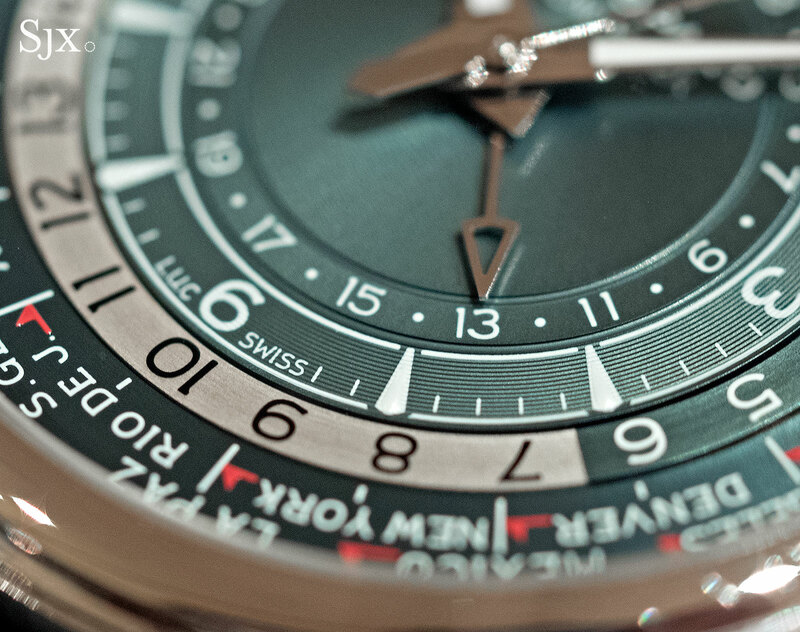 Though difficult to discern at a distance the dial has several different surface finishes. 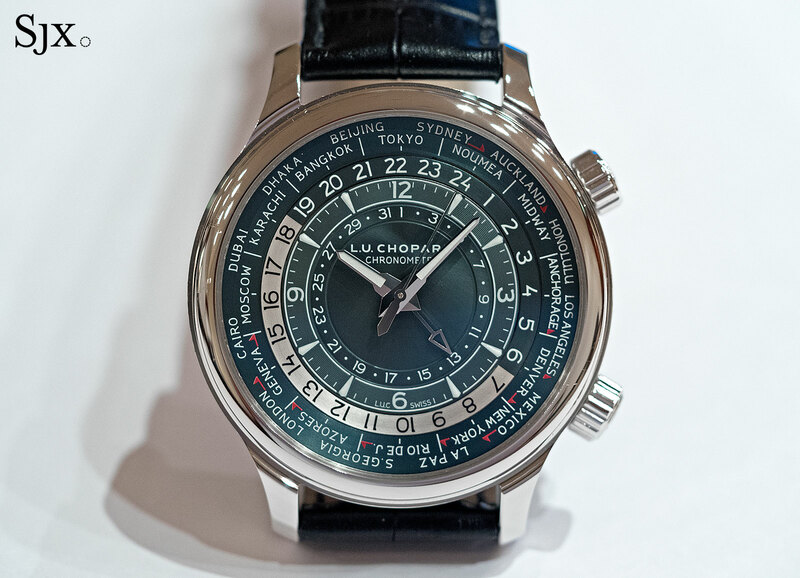 While different in colour, both versions have metallic, sun ray brushed dials, with the brushed finish centred on the Chopard logo at 12 o’clock for a novel but subtle effect. The hour track has a concentric stamping while the outermost 24-hour scale is circular grained. 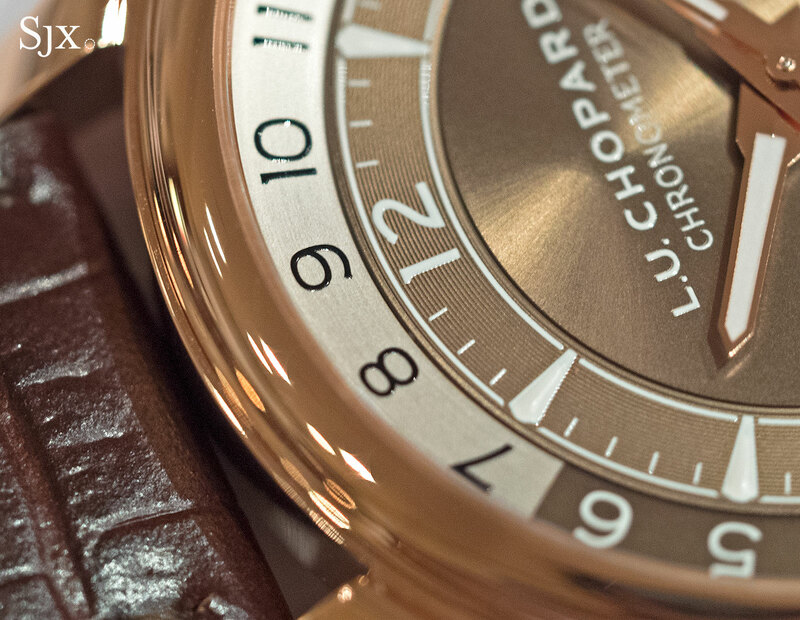 Equipped with a more elaborate version of the same movement, the L.U.C Time Traveler One goes a step further. 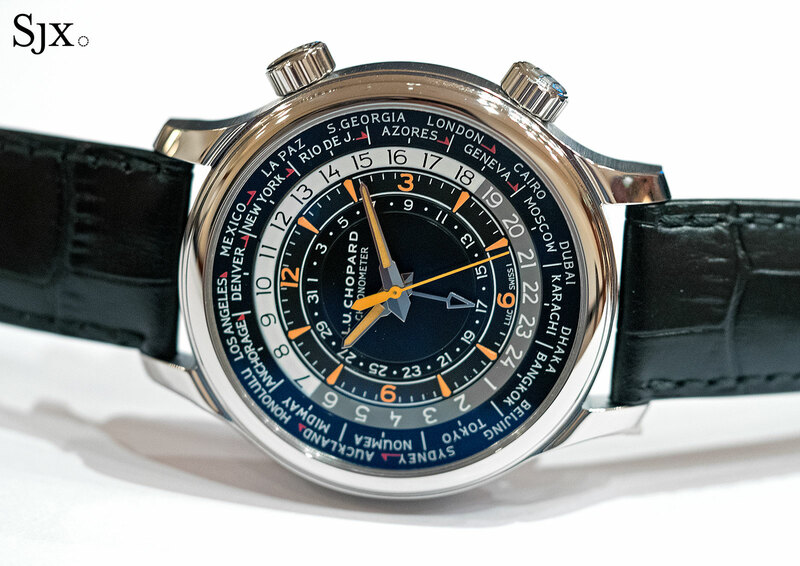 In addition to twin time zones, the Time Traveler One also offers a world time function, simultaneously showing the time in all 24 of the world’s time zones. Like on the GMT One, the local time is set via the crown at two, while the world time function is controlled by the crown at four o’clock. The multiple time zones are read from the 24-hour scale and adjacent cities disc, with each city representing one time zone. This extra function is accompanied by a significantly more complex dial, though it swiftly becomes easily legible once the basic mechanics are grasped. A arrow-shaped skeleton hand in the centre points to the date, which is shown on the innermost scale of the dial. The L.U.C 01.05-L movement inside is similar to the calibre of GMT One, but slightly thicker to accommodate the world time mechanism. 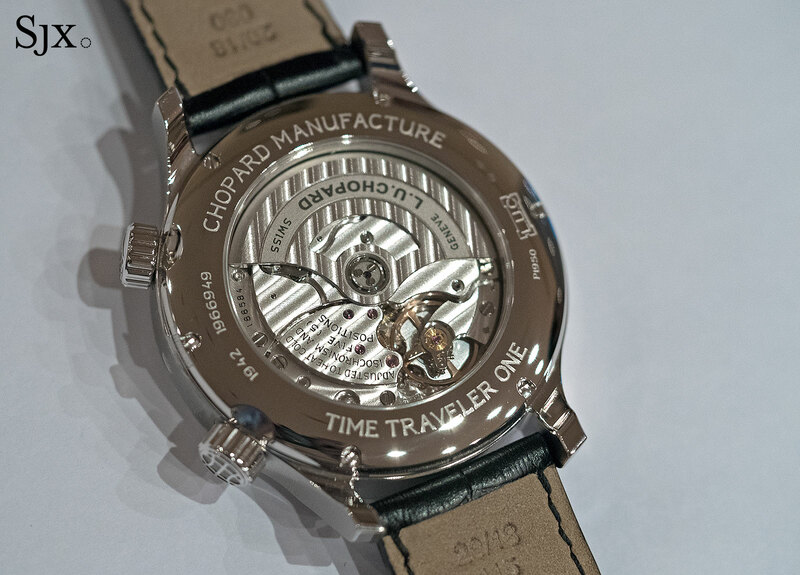 This means the Time Traveler One has the same 42mm diameter, but is imperceptibly thicker at 12.09mm high. And like the GMT One, the Time Traveler One feels smaller than it actually is. Three versions of the Time Traveler One are available, starting with the top of the line in platinum. 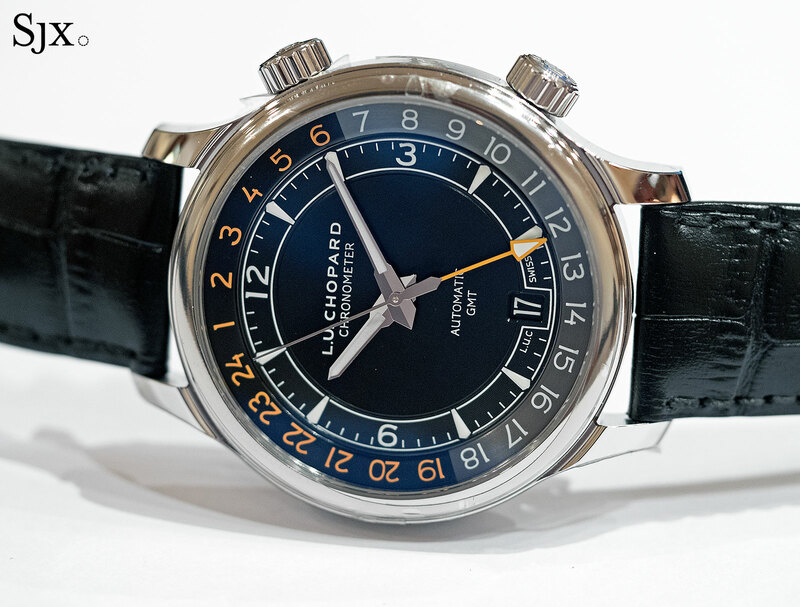 A surprisingly hefty (and very expensive) wristwatch, the platinum model is fitted with a metallic grey-blue dial. 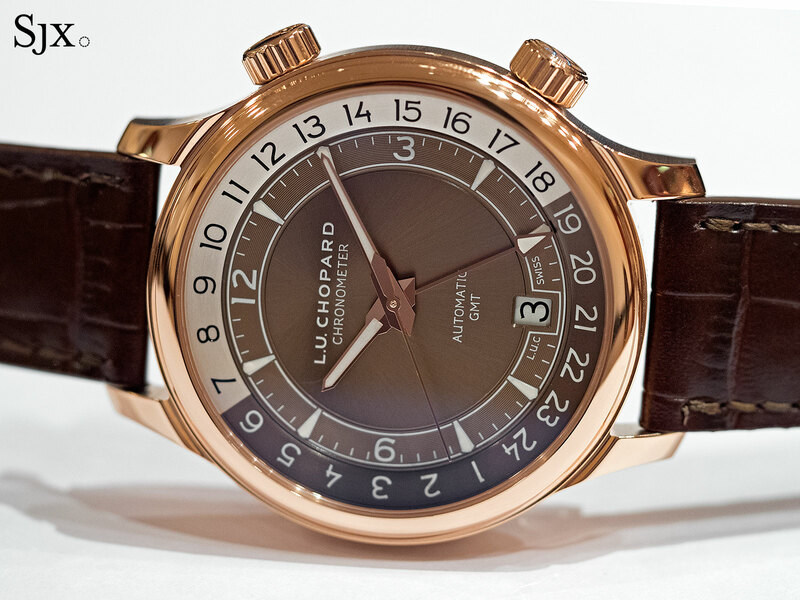 The rose gold version is fitted with a conventional looking silver dial with red and blue accents, while the steel model is in black and orange.